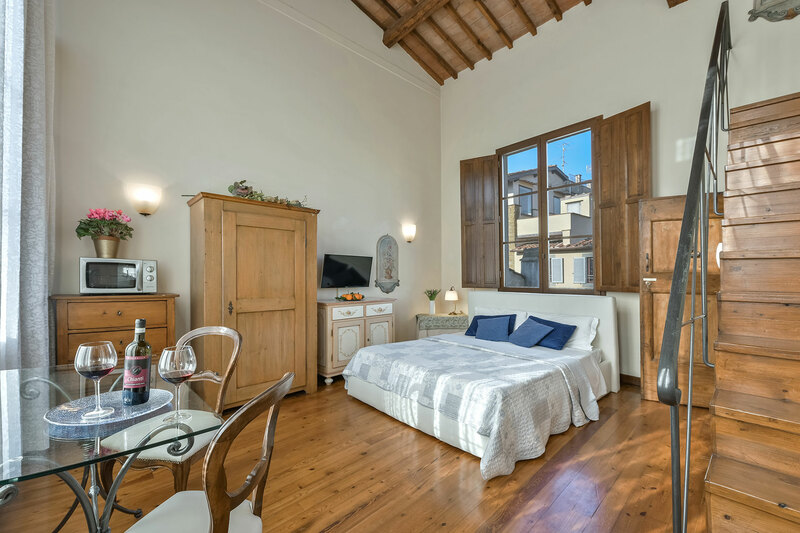 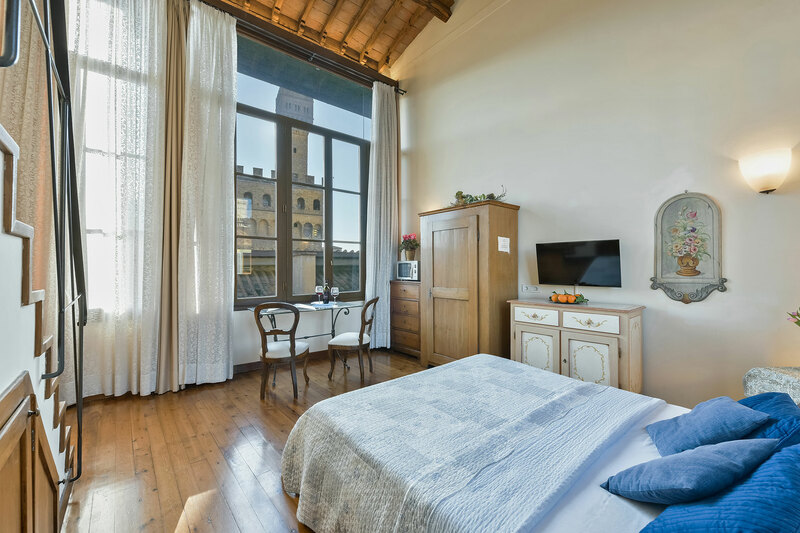 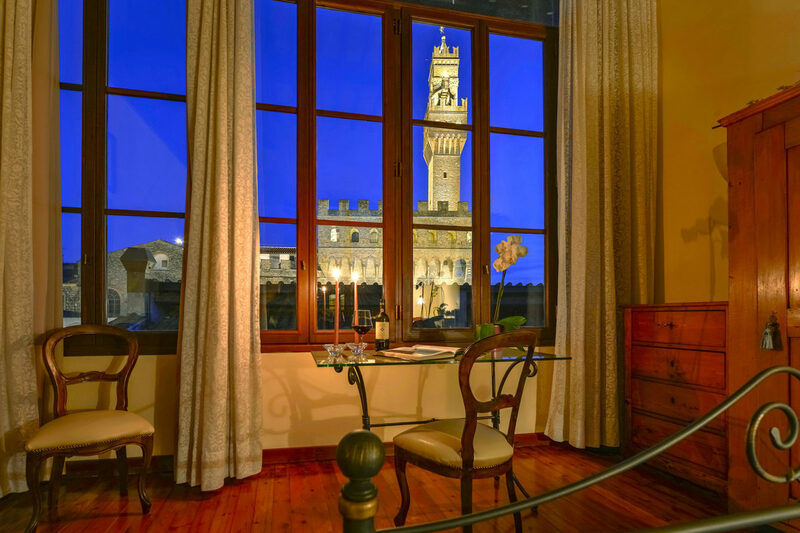 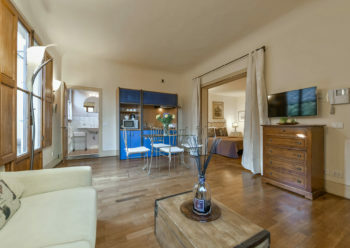 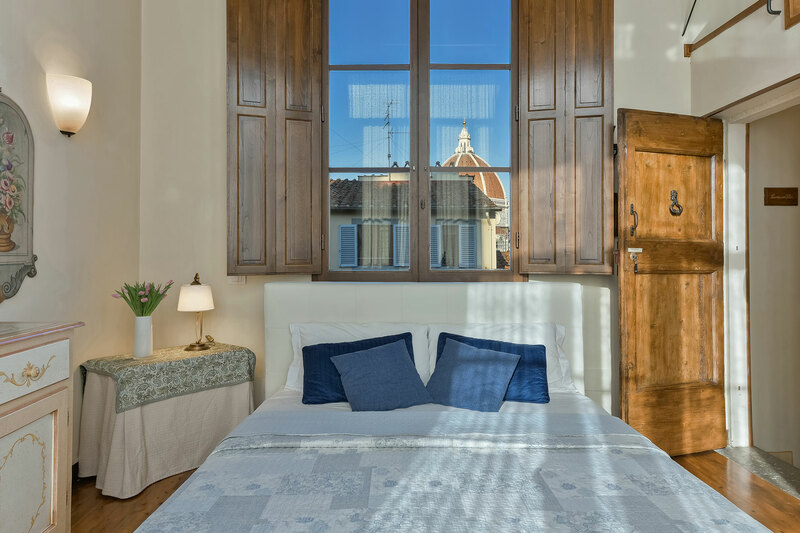 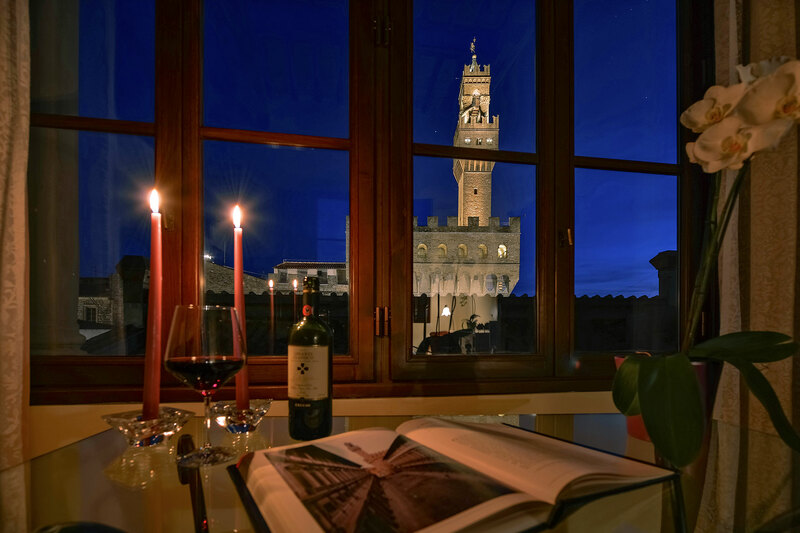 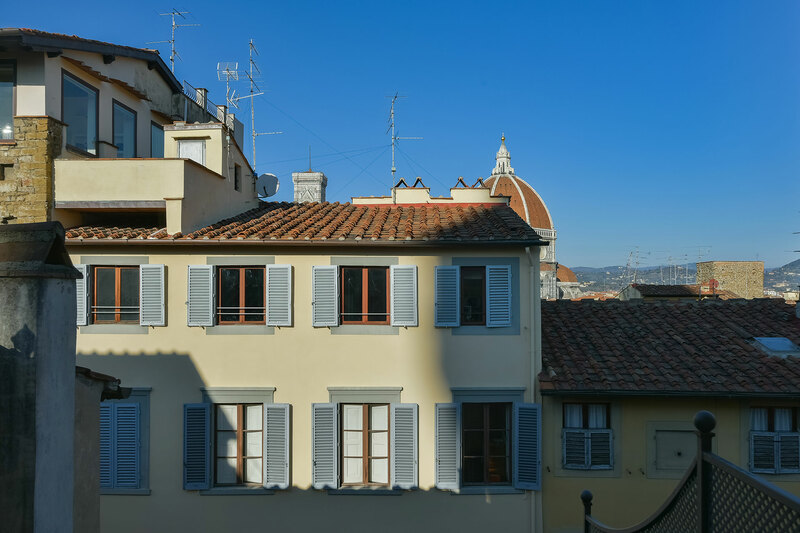 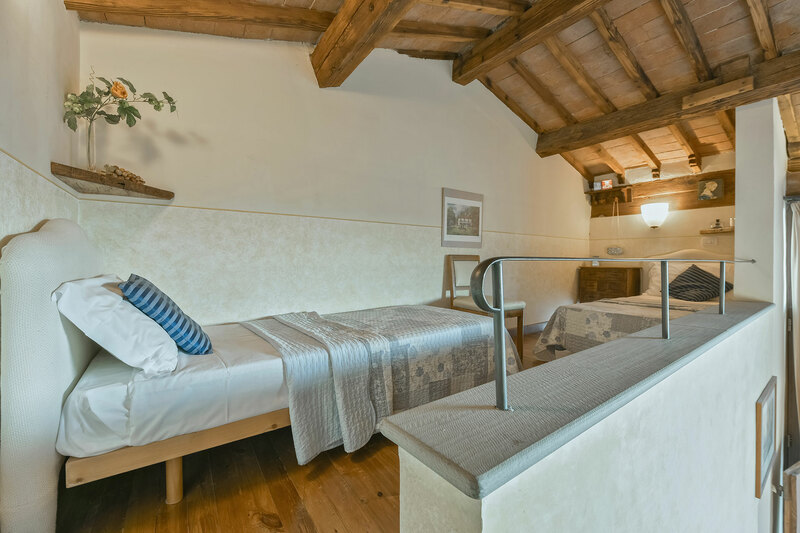 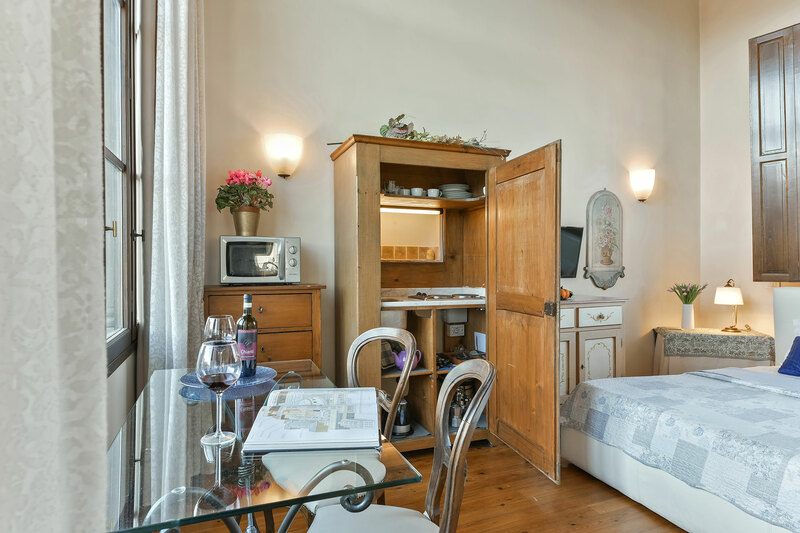 Located at the 5th floor of the Palazzo with lift + 10 steps, the loft obtained from a turret of the Palazzo, offers a special view: from one side you can look at the Palazzo Vecchio, on the other you can “touch” the fantastic Duomo. 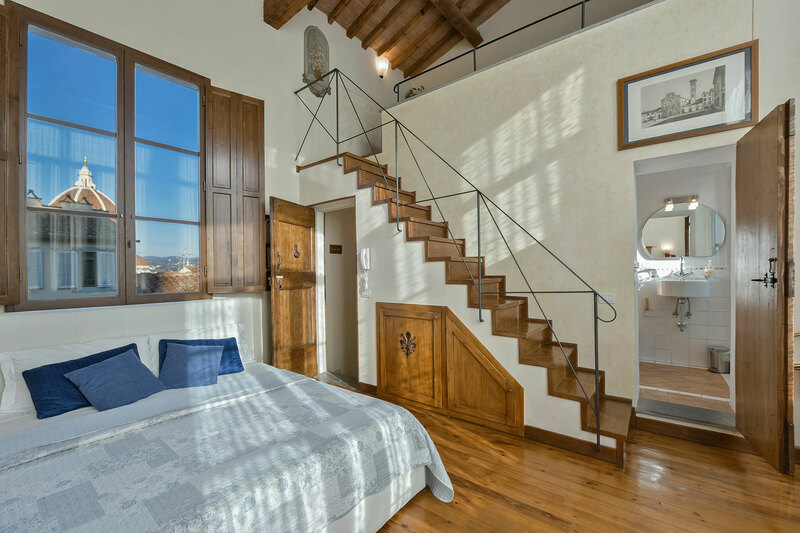 The loft develops on 2 floors. 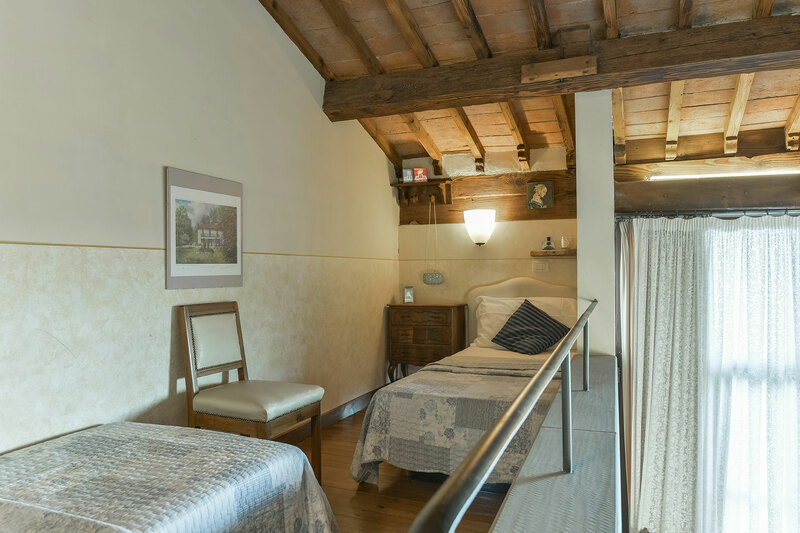 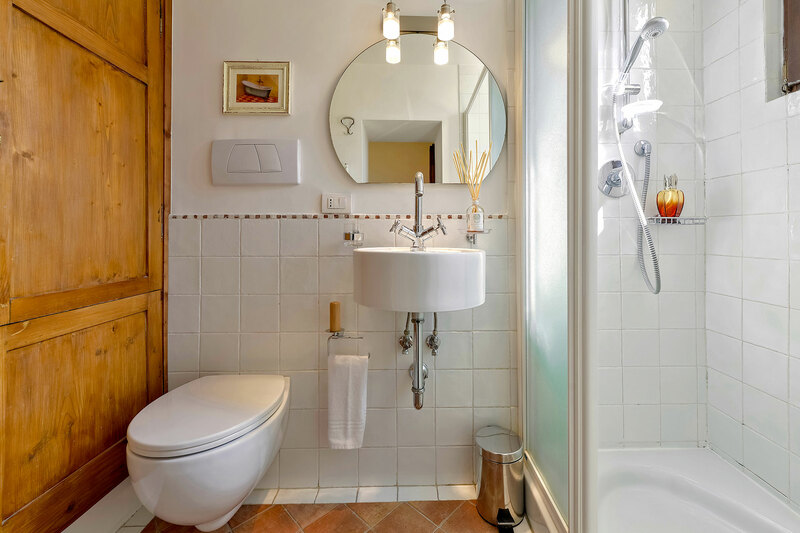 At the first floor you can find a king size bed (160cm), a small coffee point, a very special crystal table and a bathroom with “panoramic shower”. 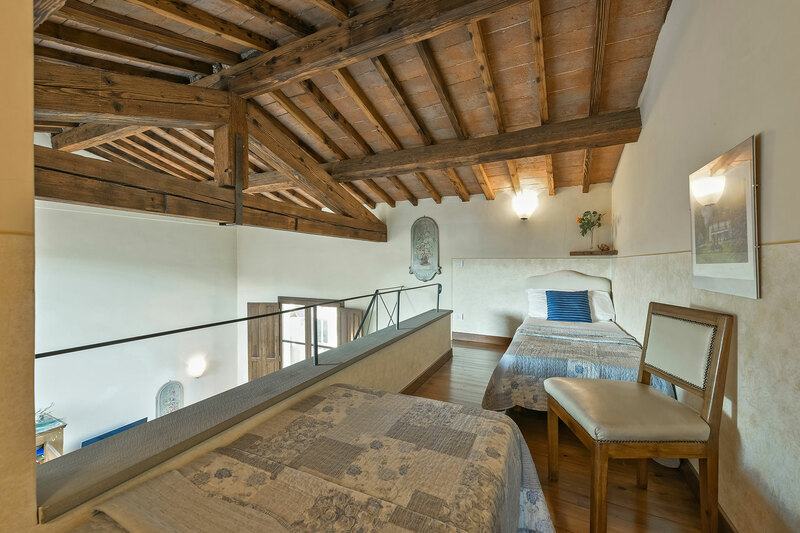 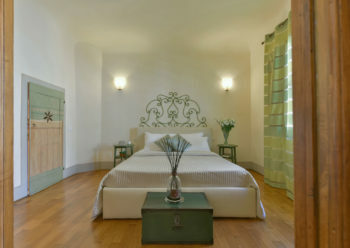 On the second floor 2 single beds are located. 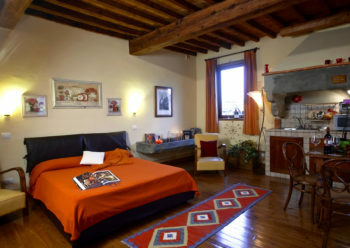 View, silence, brightness, art and history identify Camera con Vista, a very unique loft!